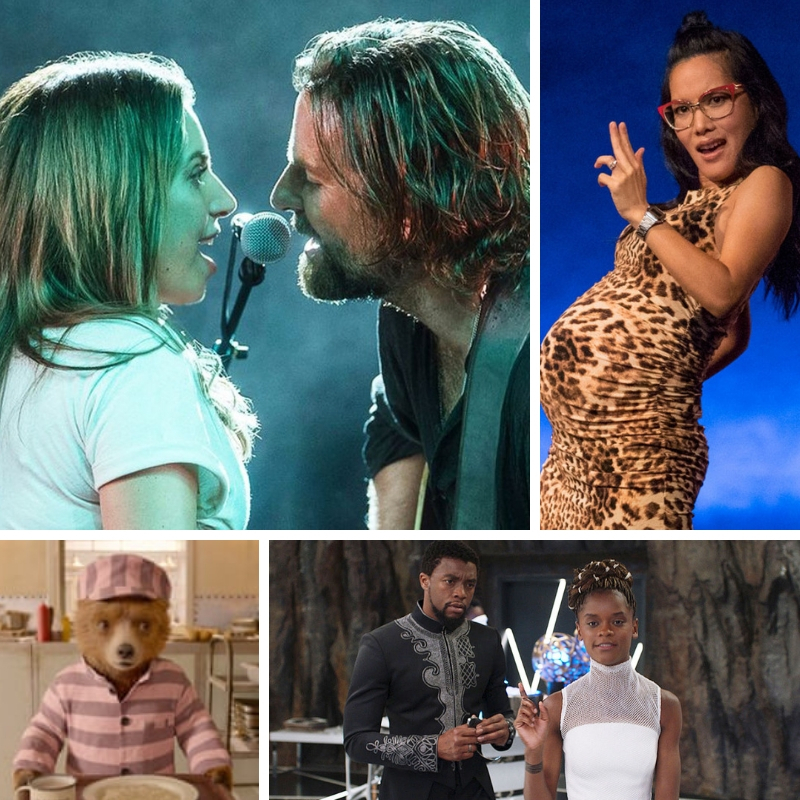 Hosts Sonia Mansfield and Margo D. play favorites, sharing the movies and TV shows that they loved the most in 2018. One more thing, Sonia is kicking herself for not putting “This Is America” by Childish Gambino on her list. But I’m here to tell you there’s something else … It’s time for another installment of Sonia & Margo Destroy Your Childhood! Host Sonia Mansfield and her podcasting sister from another mister, Margo D.from Book vs. Movie, The Best Neighbors Podcast, Not Fade Away, Fit Bottom Girls, AND the new OFFICAL co-host of the show (!!!) talk about Prince’s “Purple Rain” (1984). You read that right. They finally made it official! Let’s go crazy! Let’s get nuts! It’s time to dork out about “The Bodyguard” (1992), starring Kevin Costner and Whitney Houston, with host Sonia Mansfield and her podcasting sister from another mister, Margo D. from Book vs. Movie, The Best Neighbors Podcast, Not Fade Away and Fit Bottom Girls. But wait, there’s more! Also joining them is one of Sonia and Margo’s favorite film writers/podcasters and Kevin Costner’s No. 1 fan, Adam Riske from F This Movie! Hey there, dorks! Host Sonia Mansfield and the handsome producer of Dorking Out, Sonia’s much better half and co-host of the podcast Old Movies, New Beer, David Tracy, drink Narwhal Stout from Sierra Nevada Brewing and talk about “Gremlins” (1984) and “Gremlins 2: The New Batch” (1990). Now I’m podcasting for my life! Hey there, dorks. Gather around for another installment of “Sonia & Margo Destroy Your Childhood.” In this episode, host Sonia Mansfield dorks out about 1983’s “Flashdance” with her podcasting sister from another mister, Margo D. from Book vs. Movie, The Best Neighbors Podcast, Not Fade Away and Fit Bottom Girls. FOR YOUR CONSIDERATION: Long-time co-host of Dorking Out, Chris Smith and his family lost their home in the fires in Northern California. Eventually, their insurance will kick in, and they can rebuild. In the meantime, they could use our immediate support. If you can, please donate to this GoFundMe page. Thank you! You dorks are the best. Hey there, dorks. Host Sonia Mansfield kicks off season 4 dorking out about one of her favorite movies, 1986’s “Aliens,” with Peter Brown, associate editor of Assignment X. Hey there, dorks! Chris Smith returns from sabbatical with some big news for host Sonia Mansfield. BUT FIRST, they talk about the Neil Armstrong biopic, “First Man,” starring Ryan Gosling and directed by Damien Chazelle. You can listen to Dorking Out here, or you can find it on Apple Podcasts, Google Play, Spotify and Stitcher. I hope you enjoy my dorky, little podcast, and if you leave me a review on Apple Podcasts I’ll be your best friend. Hey there, dorks. Host Sonia Mansfield dorks out about the “Halloween” franchise with her podcasting sister from another mister Margo D. from Book vs. Movie, The Best Neighbors Podcast, Not Fade Away and Fit Bottom Girls. They chat about the original “Halloween” (1978), 1998’s “Halloween: 20 Years Later” and the latest movie, “Halloween,” directed by David Gordon Green and starring Jamie Lee Curtis. Hey there, dorks! In this episode, host Sonia Mansfield dorks out about 1987’s “The Lost Boys” with her podcasting sister from another mister Margo D. from Book vs. Movie, The Best Neighbors Podcast, Not Fade Away and Fit Bottom Girls.